The first Passengerfilms of 2015 had a great turnout (Photo: Thomas Dekeyser). 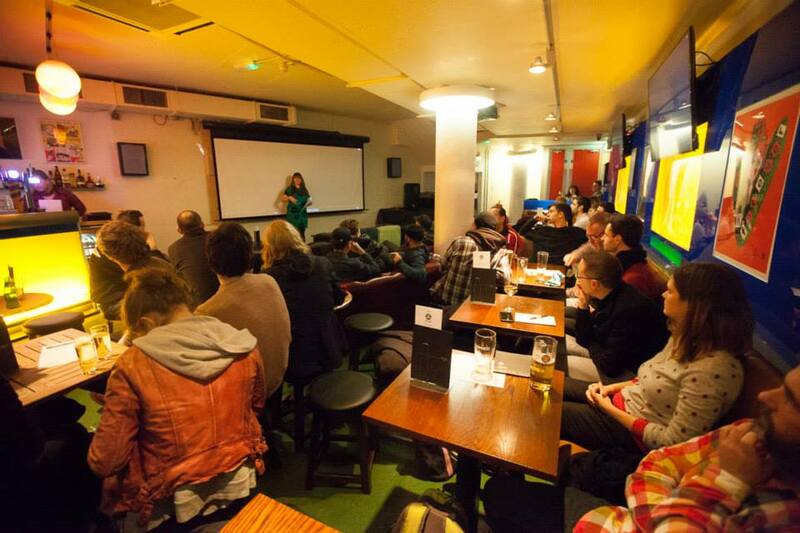 Tuesday night saw the launch of Passengerfilm’s 2015 programme in the Jetlag Bar, Fitzrovia. The title of the evening, curated by Dr. Oli Mould, was The Art of Skating. The evening began with a showing of Blue Line, a short film that follows skateboarders as they move through the urban landscape. The feature film was Beautiful Losers, a documentary about a group of American artists who became famous for their ‘do-it-yourself’ style of street art in the 1990s. A short film called Xerox and Destroy was also shown, about the Photocopy Club, an unconventional exhibition of skateboard photography. 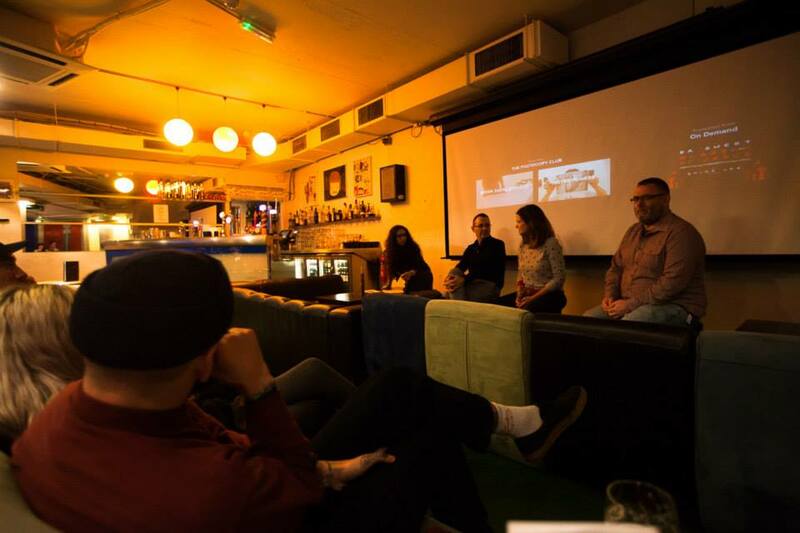 The discussion after the screenings was chaired by Dr. Harriet Hawkins (Royal Holloway, University of London), and featured Professor Iain Borden (Bartlett School, UCL), Marc Vallée, a documentary photographer, and Sabina Andron (Bartlett School, UCL). The films shown focused around art and skateboarding (Photo: Thomas Dekeyser). The purpose of the evening was to think about how alternative creative subcultures such as skateboarding can be accepted by the mainstream, often because of rather than despite their subversive and anti-establishment nature. This is not a seamless process however, and tension and conflict can often be sparked by the perceived ‘institutionalisation’ or ‘selling out’ taking place. Much of the discussion revolved around this process. The artists in Beautiful Losers achieved mainstream commercial success, with one even doing the art for a Pepsi ad campaign. There was debate over whether selling your work makes it somehow less ‘authentic,’ and whether artists are ever non-commercial- surely they all hope to make a living out of their art? There was also extensive discussion about the connections between skateboarding and graffiti. They are both subversive counter-cultures, but they have both also proved to be incredibly commercially successful, capable of generating large amounts of income. For example Vans, a well-known shoe brand made popular by skaters plans to have annual revenues of $2.2. Billion by 2016. Marc Vallée made the point that skateboarding is part of a range of creativities that all feed off of each other, and Iain Borden traced the connection back to the Zoo York crew in the mid-1970s. The discussion was lively and thoughtful (Photo: Thomas Dekeyser). Skateboarding and street art are two of the things that make the urban feel edgy, unconventional, and just the right amount of dangerous. As such, they can be very popular, but the debate about the impacts of the transition to the mainstream rages on. Undoubtedly there is no easy answer, but we at Passengerfilms had a fantastic time discussing it with an engaged and enthusiastic audience. Thank you to everyone who came along and took part. This year I have got involved with the running of Passengerfilms, a ‘car-crash of geography and film’ that has been run by PhD students in the Royal Holloway geography department for the past few years. 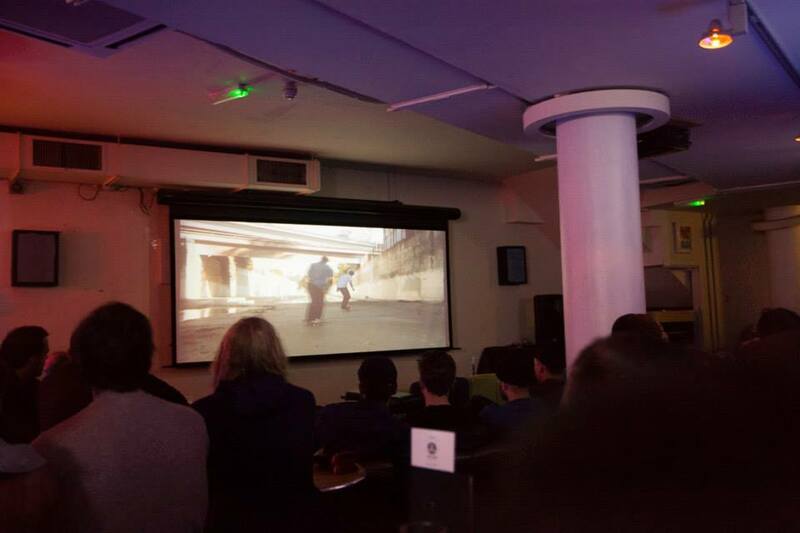 Last week, we hosted our first film evening of 2015, called ‘The Art of Skating.’ It went very well, if I do say so myself! The following post is a short summary of the evening, along with some pictures taken by Thomas Dekeyser. Hannah Awcock provides a brief run down of the Art of Skating event, which marked the start of Passengerfilms’ 2015 programme. The event was full of Surgeons – curated by Oli Mould and hosted by Harriet Hawkins.